Luscious, smooth, rich, sweet, savory and decadent. 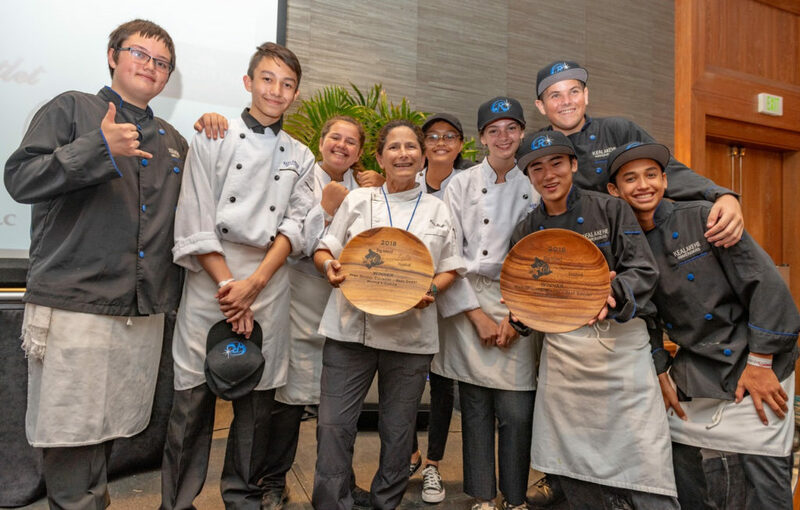 These adjectives adequately describe this year’s Big Island Chocolate Festival Gala, which returned for its sixth year on Saturday, April 29, at the Hapuna Beach Prince Hotel in Kohala. Sweet and classy sum up the ambiance at this year’s social event, leaving attendees already marking their calendars for next year’s grand fête. Music from the Magic Strings wafted out of the ballroom as the wine, chocolate beer and chocolate cocktails were flowing. 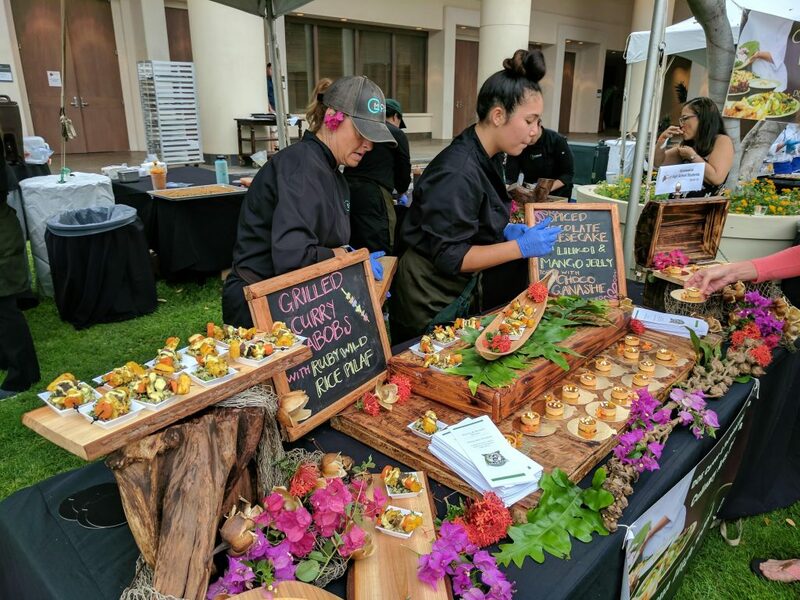 Chocolate culinary creations from Maui and Hawaiʻi Island were entered into this year’s festival to the pleasure of a sold-out crowd of 600 guests. 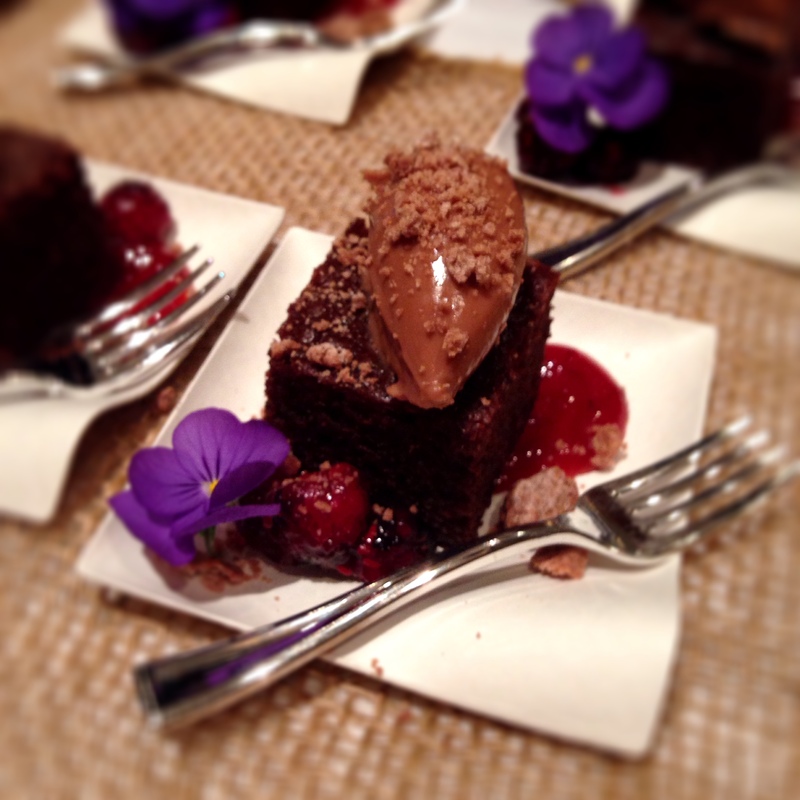 Chocolate lovers filled the grand ballroom and spilled out into the courtyard to sample delicious delicacies at this much-anticipated fundraiser benefiting four island nonprofits. 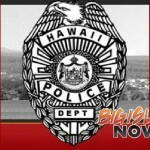 The two-day gathering began on Friday and featured seminars, contests and culinary demonstrations. 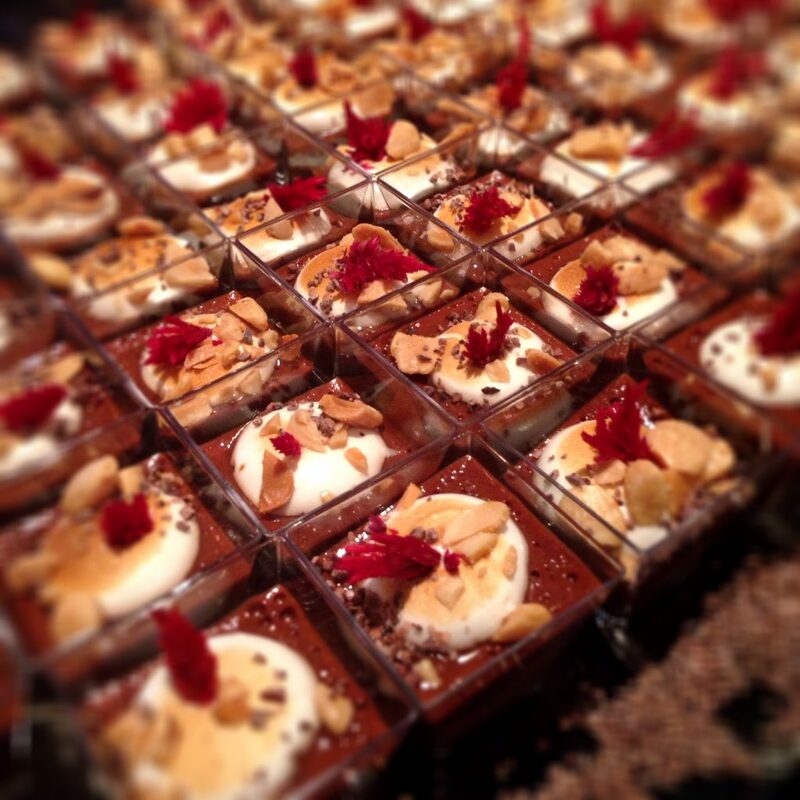 Saturday night’s gala was the pièce de résistance of the festival, highlighting sweet and savory snacks from chocolatiers who promoted their craft and vied for the prestigious culinary awards. Celebrity judges critiqued all edible entries based on taste, texture, appearance and creativity. 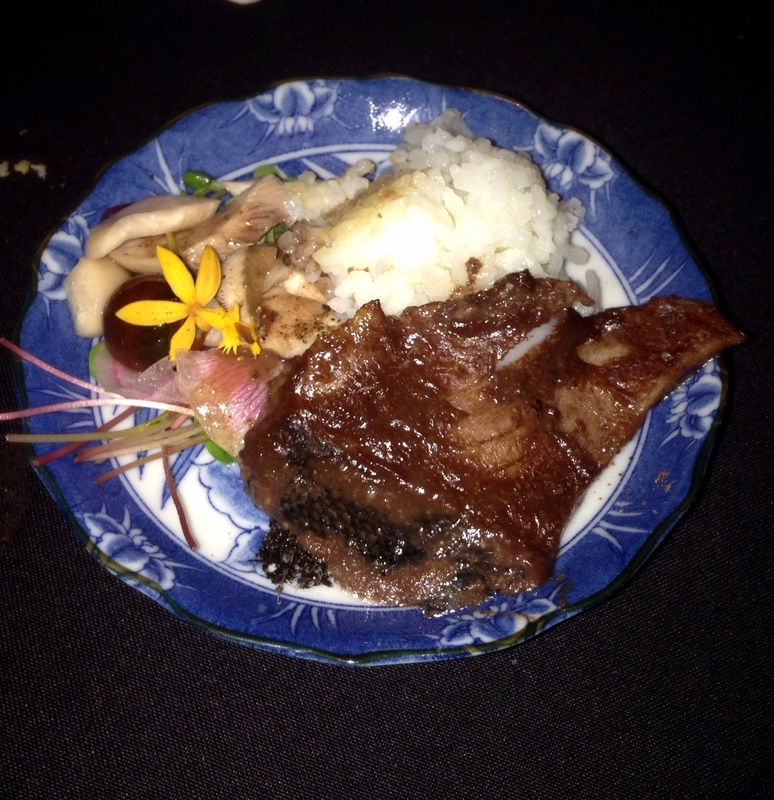 Between the culinary arts, dancing and music, it was an artistic extravaganza that was a feast for both the ears, eyes and taste buds. Among the award winners were Four Seasons Resort Hualalai for Best Decorated Booth, Chef Dayne Tanabe of Hilton Waikoloa Village took home the award for Best Savory creation, Donald Donald Wressell of Guittard Chocolate Company for Best Plated Dessert, Chef Eddie Enojardo of Hilton Waikoloa Village for Best Bonbon and Michelle Yamaguchi of Wailua Estate for Best Bean-to-Bar Chocolate. 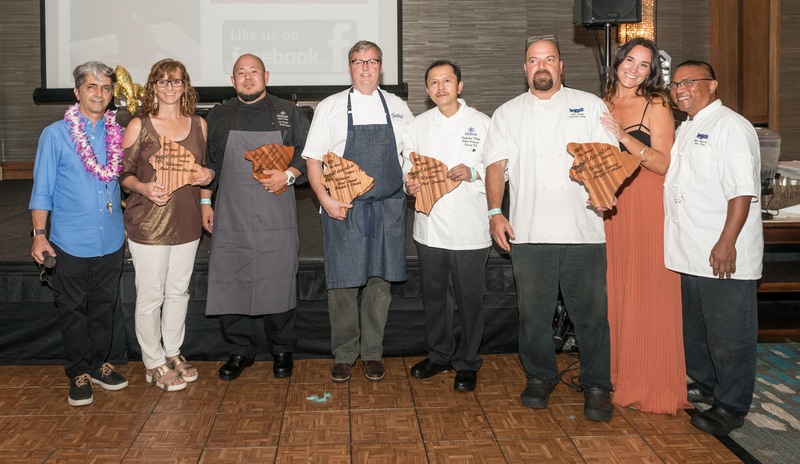 People’s Choice Awards went to Chef Alan Heap of Huggo’s for Best Savory and Guittard for Best Sweet. In the farm awards division, Gini Choobua of Likao Kula Farm earned Best Cacao while J. Bennett of Nine Fine Mynahs took Best Criollo. 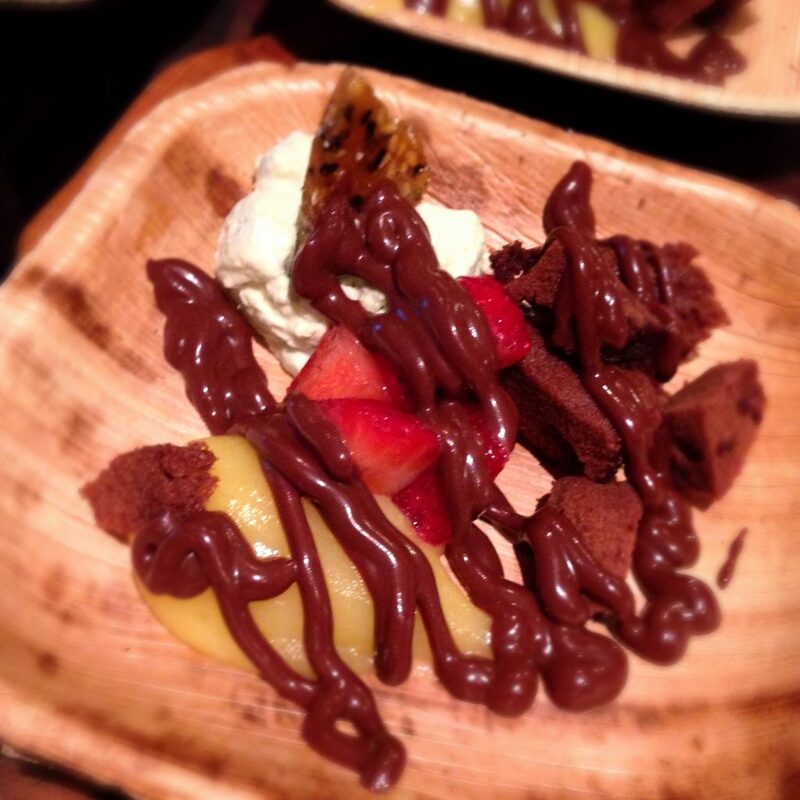 The Big Island Chocolate Festival is presented by the Kona Cacao Association with proceeds benefiting the ACF Kona Kohala Chefs Association, Kona Dance and Performing Arts, Kona Pacific Public Charter School and Waimea Country School’s Na Keiki Aloha ‘Aina. 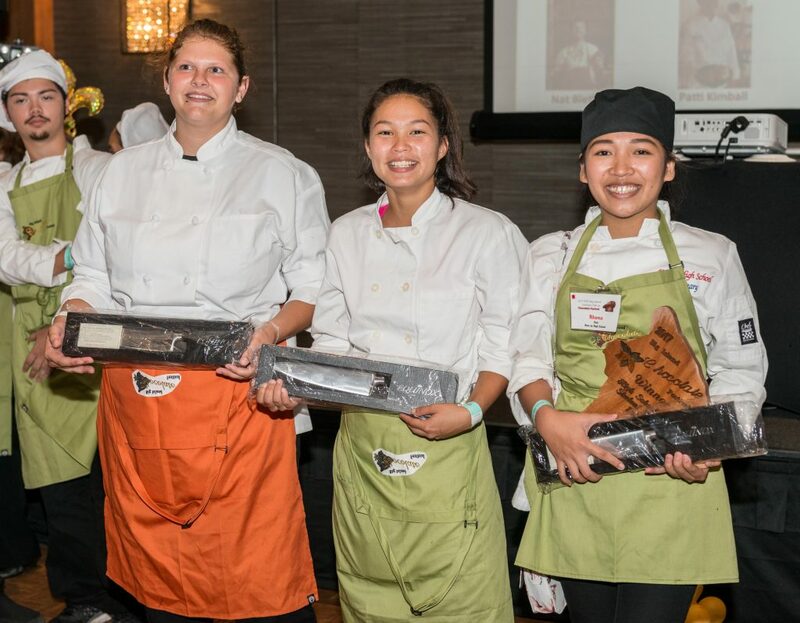 L–R: High school scholarship winners included Hannah Norman and Mina Acosta-Cabamungan of Waiakea, and Rhoma Dait of Kea‘au. Photo: Kirk Shorte. 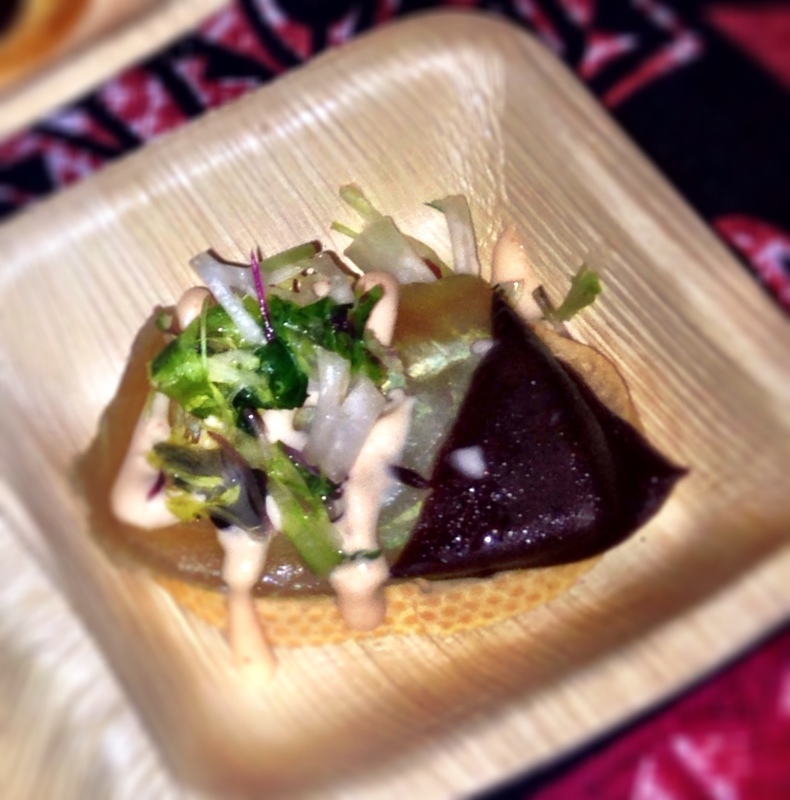 Chocolate Miso Butterfish, Big Island Chocolate Festival 2017. Karen Rose photo. 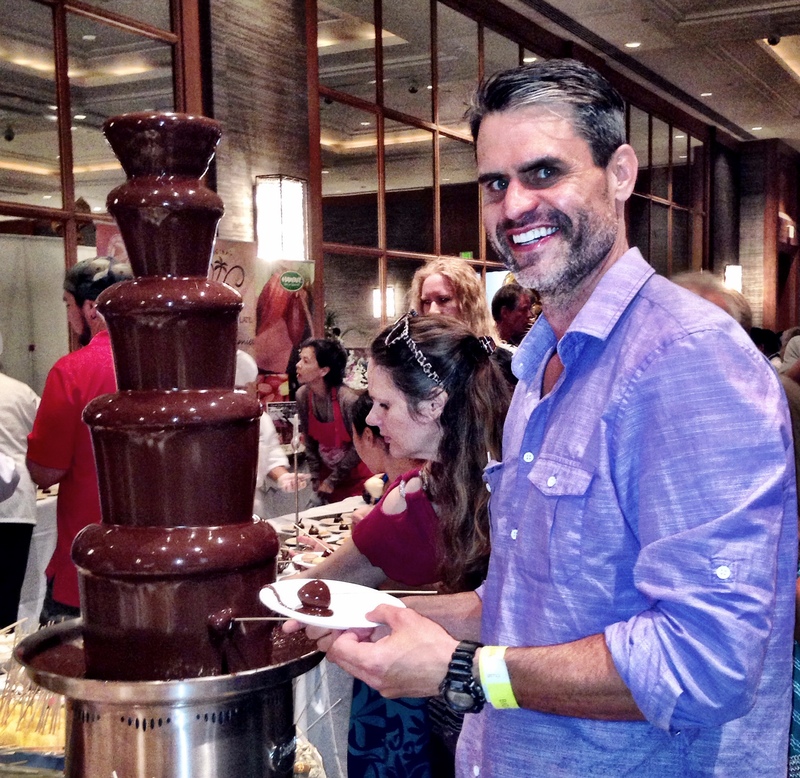 Big Island Chocolate Festival 2017 guests enjoying the Chocolate Fountain. Karen Rose photo. Karen Rose photo. Big Island Chocolate Festival 2017: Four Seasons Brown Butter Gateaux Ocean Fire Jivara Crema and Surinam Hawaiian Chili Pepper Jam. Karen Rose photo. Karen Rose photo. Big Island Chocolate Festival 2017: Microwave Chocolate Cake. Karen Rose photo. Big Island Chocolate Festival 2017: New Mexican Chile Chocolate. Karen Rose photo. Big Island Chocolate Festival 2017: Huggo’s Smoked Ono Dipped in Chocolate. Karen Rose photo. L–R: Big Island Chocolate Festival founder Farsheed Bonakdar presented the professional culinary winners with their plaques: Michelle Yamaguchi of Wailua Estate for Best Bean-to-Bar, Chef Dayne Tanabe of Hilton Waikoloa Village for Best Savory, Chef Donald Wressell of Guittard Chocolate Company for Best Plated Dessert and People’s Choice Best Sweet, Chef Eddie Enojardo for Best Bonbon and Chef Alan Heap, Mara Masuda and Albert Asuncion of Huggo’s for People Choice Best Savory. Photo: Kirk Shorte.